We proudly welcome to wide collection of contemporary and modern furniture this exceptional console table from the Granary Royale collection. Handcrafted from solid wood this table is sure to amaze. It features four small drawers, Ideal for storing a wide variety of items. 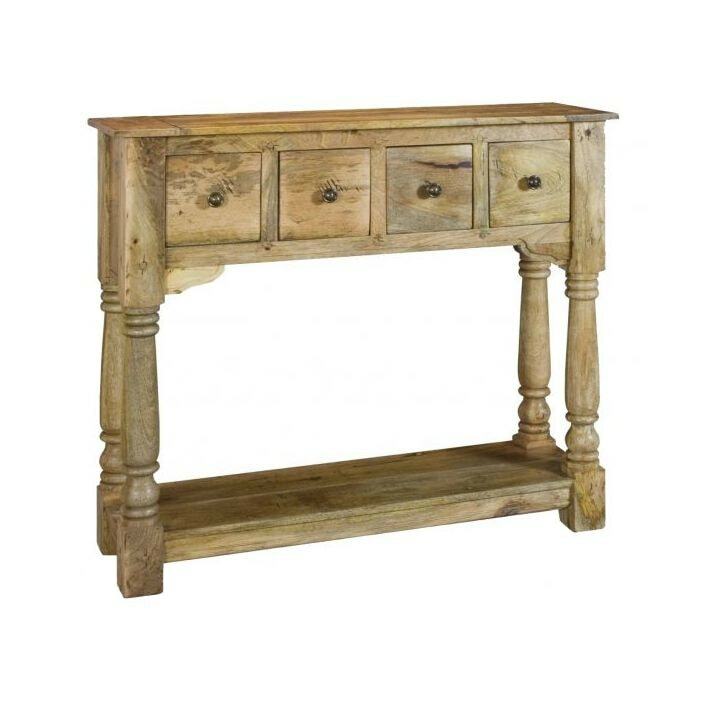 This marvelous console table works well on its own or co-ordinated alongside our other wooden furniture.